Philo Beddoe is an easy-going trucker and a great fist-fighter. With two friends - Orville, who promotes prize-fights for him, and Clyde, the orangutan he won on a bet - he roams the San Fernando Valley in search of cold beer, country music and the occasional punch-up. But he is floored himself by a dainty little country and western singer, who gives him the slip when she realizes he's getting too serious. Phil, Clyde and Orville set off in pursuit, pestered by bikers. The San Fernando Valley adventures of trucker turned prize-fighter Philo Beddoe and his pet orangutan Clyde. Fun flick. Caught it for the first time on video. Though it was obviously aimed for the redneck, teenage drive-in crowd, the stellar performance of Clyde raises this to the level of an art house flick. Clint did what Clint does best: fights and wins. The one distraction was the startling unappeal of Sondra Locke. Her lack of talent in acting is only surpassed by her lack of talent in singing. Other cast members included a loyal buddy, Orville, a swearing granny, two blundering cops, and a gang of wimpy bikers. This is my childhood film of which I have seen hundreds of times. Although originally Clint Eastwood was told by many friends and co-workers not to play a part in this film, it turned out a success due to its down to earth humour and a well selected cast. 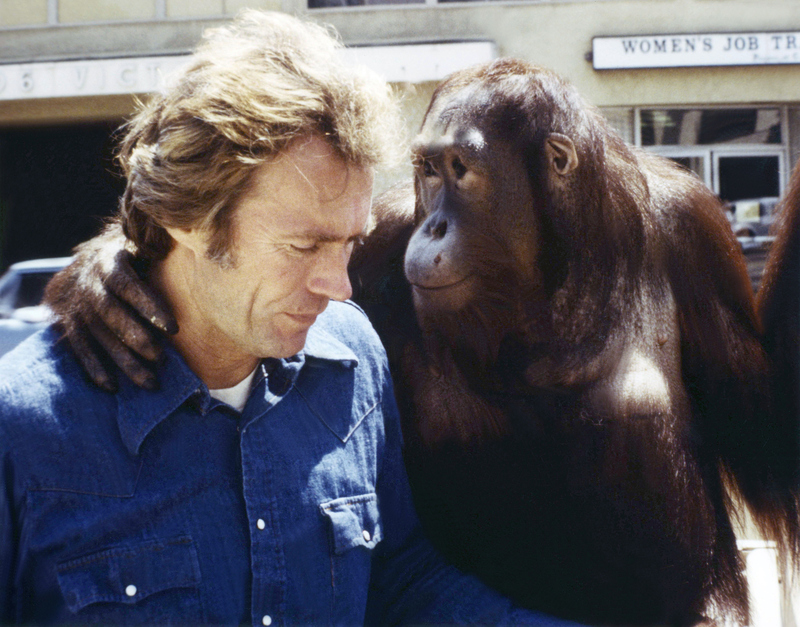 Watch this film to see a different approach to Clint Eastwood's work, as he lives a relaxed and happy life with his ape 'Clyde'.